Roulette is a classic table game which has attained the status of an absolute must in both online and landbased casinos the world over. Enticing in its simplicity, the game attracts both experienced players and casino novices as it is based on luck and practically, anyone can engage in it. In recent years, many fans of the game have made a transition from brick-and-mortar to online play due to the growing popularity of web-based casinos, the convenience and flexibility they offer, and the greater diversity of roulette variations available. Online casinos cater to the needs of all their patrons regardless of the size of their bankrolls. Those, who are reluctant to take risks can easily join one of the low-stakes roulette tables but high rollers will not be disappointed, either, since many of the most reputable online gambling operators have added high-limit roulette tables to their gaming libraries. For the most part, there are hardly any substantial differences between the virtual low-stakes and high-roller tables, save for the plaque where the betting limits are stated. Other than that, the rules of a high-roller game of roulette coincide with those of the regular variations, with players being able to place the same types of inside and outside bets. The betting limits per round may differ depending on the type of bet you make and in many cases, players are allowed to make bigger wagers on less risky outside bets because their payouts are either even money or 2 to 1. Meanwhile, the maximum limit for inside bets is significantly lower, especially when it comes to Straight Up wagers on individual numbers – the probability of winning may be minute but the payout of 35 to 1 is well worth the money and efforts you invest. The upper limits for such bets still reach four-digit sums at the high-roller roulette tables. Generally speaking, the higher the payout of a given roulette bet is, the lower the maximum bet limit at the high-stake table will be. The minimum and the maximum amounts you can stake on each round also depend on the online casino you have registered with. At some websites, the maximum bet you can place at the high-roller roulette tables is set to $1,000 while at others players are allowed to stake as much as $75,000. Typically, upper stake limits at Live Dealer casinos are considerably higher than those of the games in the virtual casinos. Some of the most well-known gaming operators in the industry have also set up unique VIP rooms where only loyal, regular customers are granted access to the available games and often get to enjoy significantly higher limits at the live roulette tables. This is, in fact, the closest online players can get to the ultimate casino experience since such Live Dealer casinos stream their table games in real time in excellent quality which allows those who join the action from their desktop computers to taste the excitement of the casino floor ambiance. In many instances, the minimum amount you can bet ranges between $1 and $10 but when it comes to the table maximum, the sky is the limit as the saying goes. Another thing players will immediately notice is that the chip denominations are significantly larger. At many high-stake tables, roulette fans are able to choose chips with denominations of $1, $5, $25, $100, $1,000 and $5,000 or the same equivalent in other widespread currencies. Other than that, the high-roller tables usually come with the same functionalities as those of their lower-limit cousins. This is to say players get to keep track of the results of previous rounds and there are also statistics on the hot and cold numbers, at least in most cases. Typically, it is possible to make the same bet again with a single click on the Re-Bet/Repeat Bet button. While at a live-streamed roulette table, participants in the game also get to communicate with the friendly croupiers servicing them as normally there is a live chat facility for this purpose. The betting process at the virtual high-roller tables coincides with that in games with regular limits. Once players have processed their deposits and have loaded their preferred high-limit game of roulette, they simply need to adjust the amount of the stake by selecting one of the available chip denominations and clicking on the respective betting box on the layout. Some virtual variations of the game make it even more convenient for players since when they hover the mouse over the box, it gets highlighted and the upper and lower bet amounts allowed are displayed above. In other instances, the payouts for the bet pop up above. Things work roughly in the same manner when one plays high-stakes roulette in the Live Dealer casinos. The biggest difference is the game is hosted by professional croupiers which also allows for a more interactive gameplay as the participants can address the dealers and communicate with them as well as with each other via the live chat functionality. Once all players have adjusted the size of their wagers and have placed their bets, the dealer tosses the ball in a direction opposite to that of the spinning wheel. Everyone waits for the ball to come to rest so that the outcome can be determined and no more bets are allowed until then. It is also possible to make several wagers on the same round as long the overall amount you bet fits within the game’s maximum table limit. When the outcome is determined, the amounts lucky players have won are displayed in a separate box on the screen and a new betting round can commence. Please note that participants are given a specific amount of time to make their bets, typically, between 20 and 30 seconds. When the designated time runs out, no more bets are accepted until the current betting round comes to completion. 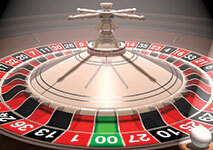 With some high-stake variants of roulette, hosted by real dealers, there is a small box in the upper part of the base-game screen, which contains what resembles traffic lights. This is to help players figure out when they can or cannot place their bets. When the green light is on, this is to indicate players can now place their bets within the designated time-frame. The amber or yellow light usually signifies bets are closing and those who wish to partake in the current betting round need to hurry up and place their wagers. When the red light is on, bets are closed and no wagers are allowed until the ball stops spinning. As soon as it lands in a pocket, a close-up of the result is shown in the upper corner of the screen and winners are paid out. By clicking on a specific section of the screen, players can also zoom in the video stream with the croupier. Those, interested in incorporating specific betting patterns or strategies into their gameplay, can easily do so by opening the statistics from the menu where they will be able to see the hot and cold numbers from the previous rounds. It is easy to comprehend and if you know how to safely cross the street in a high-traffic area, you will hardly experience any issues playing live high-roller roulette. The great thing about high-stake roulette tables is that they cater to the needs of both high-rollers and risk-averse players because bets start at a relatively reasonable sum of $1 or $2. Depending on the software provider that powers the live casino platform, it is sometimes possible to choose between 3D and classic view, where the wheel along with the dealer is displayed in a separate screen, located right above the betting layout. All big and well-known gambling operators in the industry have added high-roller roulette tables to their gaming collections so those who like to bet big can hardly complain of lacking options. If you like the thrill placing a few thousand dollars on a single red/black bet offers, you most definitely should try the high-roller roulette games, available in the five casinos we have reviewed below. All five operators are committed to providing a pleasant, fair and safe gaming environment to their players and enjoy an excellent reputation thanks to their quick payouts, diverse gaming libraries, and efficient customer support. As the name itself reveals, All British Casino targets the needs of players from this jurisdiction and impresses with a British-themed interface which furthers easy navigation. The website utilizes software provided by some of the most popular developers on the online gambling scene, including giants Microgaming and NetEnt. The virtual casino is home to a nice array of top-notch games, such as classic and video slots, plenty of video poker variants, as well as many scratchcards, arcades and table games. The casino is available in instant play so there is no need to waste time downloading and installing any particular software. Mobile gaming is yet another great option since the casino supports devices, based on iOS, Android, and Windows Phone. High rollers looking to place substantial bets on roulette, specifically, should head to the Live Casino section where they will be able to select from several bespoke roulette variants, hosted by flesh-and-blood dealers with years of experience at the roulette tables. Some of the most interesting options include Fiesta Roulette, British, and Race Roulette with table limits fluctuating between £1 and £75,000. A mobile version with high betting limits is also on offer. The live games are broadcast directly from the opulent floors of the Portomaso Casino in Malta while the stream and software are courtesy of leading developer NetEnt. Anyone who is interested in interactive gambling is well acquainted with the 888 brand as the website of this renowned gambling operator is home to a wide range of premium offerings, including a diverse virtual casino, a sportsbook, bingo and poker rooms. The casino processes payments quickly and efficiently via numerous dependable and commonly used banking methods. The quality of the available slots and table games is superb, to put it mildly, which is anything but surprising considering the portfolio is powered by NetEnt, Amaya, and Random Logic. Roulette players with larger bankrolls will be able to enjoy various high-limit variations of the game in the operator’s Live Dealer casino where they can find tables with minimum and maximum limits ranging between $2 and $2,500. One of the most popular options is Immersive Roulette, but the other variants are worth your while as well. The Live Casino, in particular, runs on software, provided by the developer Evolution Gaming and is home to one of the biggest private live rooms in the industry. The games are live-streamed directly from the premises of Evolution Gaming, located in Latvia. Some titles from the live portfolio are broadcast from the luxurious Dragonara Casino in Malta and are playable on portable devices like iPhones and iPads. Guts Casino is an innovative online gambling hub which attracts millions of players from around the world with its user-friendly interface, comprehensive gaming library, and fair, timely withdrawals. The casino accepts a wide array of convenient payment methods, including widespread options like Skrill, Neteller, MasterCard, and Visa. Players are provided with the option to engage in hundreds of first-rate video slots, video poker, blackjack, and roulette variations which will blow their minds with immersive sounds, crystal clear visuals, and easy-to-use interface. How could it be otherwise when the games in question are created by Microgaming, Betsoft, and NetEnt? Players whose shyness prevents them from joining one of the high-roller roulette tables in Guts’ Live Casino are not left without options. There are premium high-stake roulette tables in the virtual casino where the outcome of the rounds is determined by independently audited Random Number Generators. Two attractive variants of the game are NetEnt’s Roulette Advanced and French Roulette where it is possible to stake anywhere between €10 and €5,000 per round. If players experience any problems with understanding how the games work, they will always have someone to turn to since the casino’s support team works tirelessly to provide information and resolve any pending issues via to the convenient live chat facility. If you are interested in betting, the name William Hill most certainly will ring a bell to you as it stands for one of the biggest gambling operators in the world. The brand is frequently associated with reliability, security, and integrity but, above all, with history since it dates back to 1934. The operator has expanded tremendously since then and apart from its landbased operations, it hosts a reliable website with an online casino, a Live Dealer offering, a bingo platform, and a poker room. The games you can find at William Hill’s website are extremely diverse and there are options to suit all styles, preferences, and budgets, from the latest slots to table staples like blackjack, baccarat, craps, and roulette. Most of the gaming library is powered by Playtech and it truly shows in the quality of the available games. Other than that, players will benefit from courteous customer service throughout the week, lots of bountiful bonuses and promotional incentives, and a long list of trusted deposit methods. High rollers are treated like royalties at William Hill’s Live Casino where they can join the seasoned dealers for a game of high-stake roulette. VIP players are granted access to the ambient Salle Privee room where it is possible to engage in several high-stake variations of the popular game of chance, including European, French and Immersive Roulette. At some tables, the maximum table limit is set to the staggering sum of $500,000. Betway casino has become the preferred online gambling destination of an impressive number of players and there is a good reason why – this gaming operator is widely known for its commitment to fair play and transparency, not to mention its website houses a wealth of options for all tastes and interests. Other benefits of joining Betway include generous bonuses to both newcomers and existing players, safely processed payments, mobile compatibility, downloadable apps for iOS and Android, and round-the-clock customer service via the chat functionality. High rollers will be able to make more sizeable bets in Betway’s Live Lounge where various classic games are hosted and streamed in high definition. These include Immersive Roulette, Double Ball Roulette, Blackjack, Baccarat, Texas Hold’em and Casino Hold’em Poker.